The Villa D project is located in the centre of Manila's Makati District, one of the Philippine's most modernised and international hubs for business. The subdivision was created in the mid-20th century by Developers Ayala to cater to families who wanted to live in an American-style subdivision on the periphery of commercial centres. These "suburbanesque" neighbourhoods are defined by planned rectangular grids which are spacious and sizeable. This urban villa, a new-build residential project, maximises to the extent of lot restrictions and property setbacks. 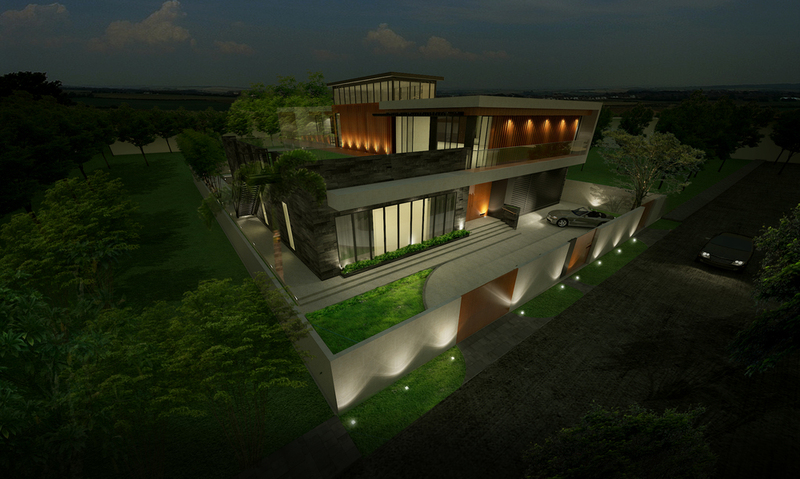 The two-story planning of the Villa is also defined by height limits of the site. The 840sq.m. 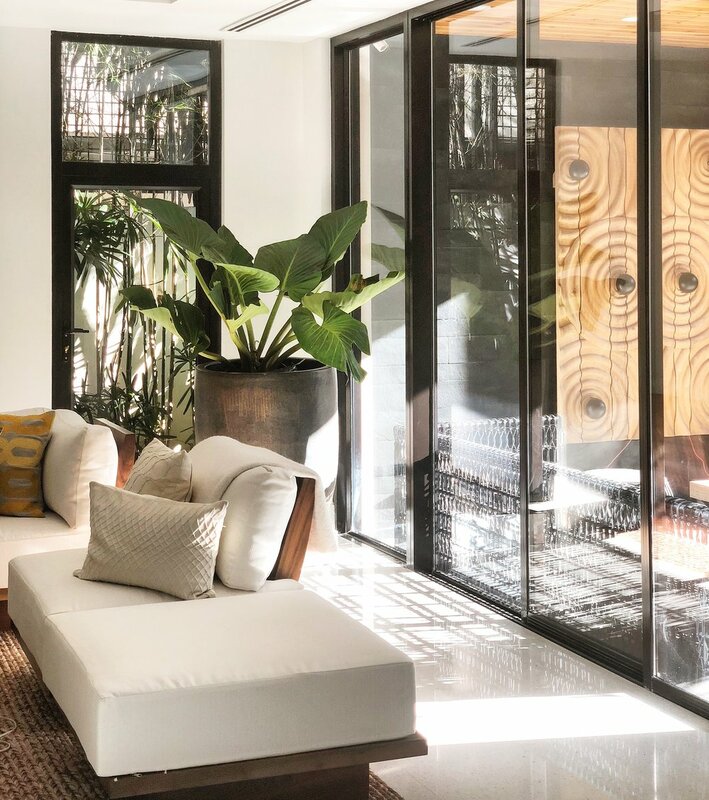 villa is planned in an internal courtyard style for an Architecture that is more private and inward in nature, made responsible by the subdivision's "landlocked" site as well as positioning of the actual lot, which is surrounded by private lots on three of the four sides. This courtyard is the based on a study of the "Bahay Na Bato" and other similar types of Spanish-era Colonial style homes which reflect much of the Architecture in and around Manila's Old Walled City, Intramuros. 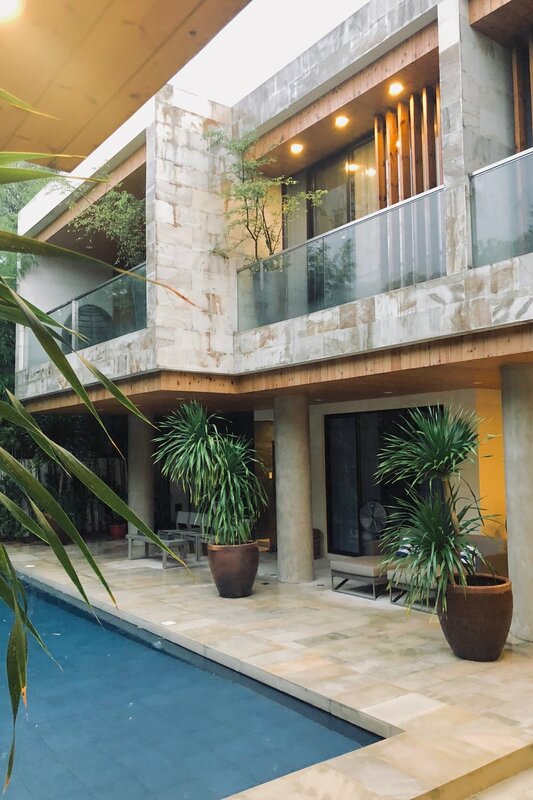 In these homes, an Axial spine enters the private home terminating into the central courtyard. These spines were initially designed for horse & carriage, but in the iteration of this urban villa, the spine is the entry foyer terminating into a light-filled space under a triple height "cooling tower" which extracts hot air via passive and active cooling and Fresh Air vents at the top of the tower. This Internal Courtyard also houses a double-height "Art Wall" and the project's main Dining Room. 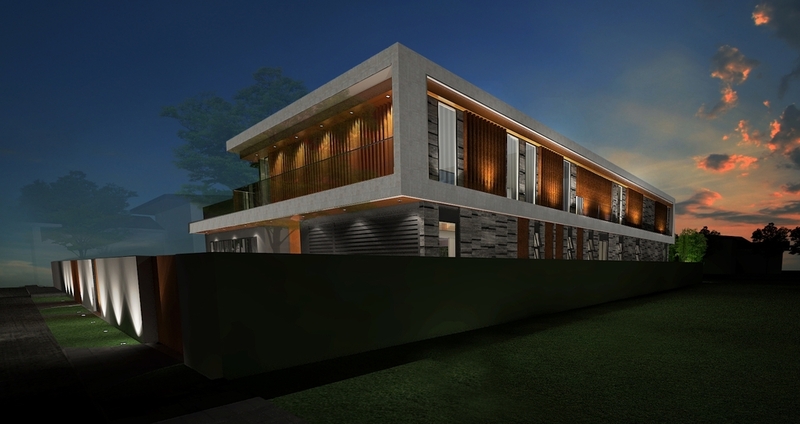 Other planning strategies for this villa reflect Old-stye Manila House planning by situating more public functions like a Living Room, Bureau, and Dining Areas on the lower floor, while the top floor houses all the private bedrooms and a family sala. Sustainable energy reduction planning concepts were also incorporated into the design of the house through the installation of 10 Solar Panels on an inaccessible rooftop, the use of cross-breezing throughout the site via the Cooling Tower and the Breezeway, full use of LED lighting, Low-E Glazing all around the site, the application of ceiling fans in major living areas, and the installation of a green roof on the upper level for the use of kids and guests to play, while keeping lower living areas cool during hot days. Project Managers & Contracting: JPM Javier Project Management, Inc.